The East Peoria Chamber of Commerce is the area's premier resource for helping businesses connect and thrive. Through numerous community events, the Chamber of Commerce works to bring residents and business leaders together. The newly-constructed East Peoria City Hall houses administrative offices for city officials, located in the bustling Levee District. The East Peoria Fire Department is dedicated to the protection of life and property by providing reliable, professional service of exceptional quality in fire suppression and rescue, fire prevention, fire investigations, and paramedic emergency medical services. The East Peoria Police Department is committed to excellence in delivering comprehensive police services focused on preventing and reducing crime. 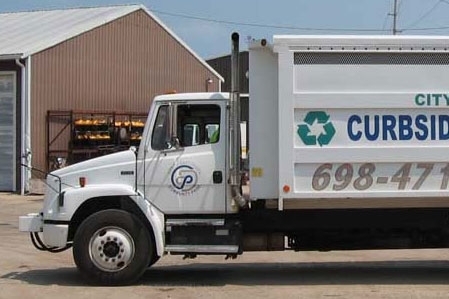 East Peoria Public Works handles garbage and recycling, street maintenance, and the water department. Fondulac District Library offers a wide variety of material for all readers in their children’s section, adult shelves, and public computer access areas. The Fondulac Park District handles service and upkeep of all parks and Park District-owned facilities. Fondulac Township maintains manages the local area and its infrastructure. Click here to see a map of these municipal facilities!